We created our service plans to promote peace of mind. Knowing that your equipment, old or new, will receive continued maintenance by a reliable professional as we have for over 25 years. It is our promise as a company that with a service plan we will look out for you, giving you the peace of mind that your equipment is properly maintained while maximizing its efficiency. Call us today to find out how to properly protect and maintain your equipment by a company you can trust! You and your family deserve comfort, safety and peace of mind. With the 128 Service Plans you can be assured 100% satisfaction. 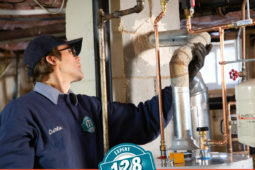 128 Plumbing, Heating, Cooling & Electric provides you with the finest technicians in the area, inspecting and conducting maintenance on your systems. You will also receive top quality service along with all the benefits and discounts we have to offer. Interested in more than one service? 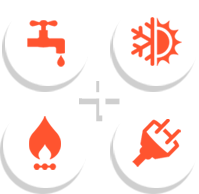 The Premium Bundle Plan consists of all the plans 128 Plumbing, Heating, Cooling & Electric has to offer. You have the ability to mix and match protection plans that best suit your needs. This plan is all about customization as we want to cater to your specific needs & concerns. We ensure safety, comfort, and 100% satisfaction. If you have any issues with your plumbing, you will receive the benefits listed with the plumbing service plan. Our Heating Service Plan covers both oil and gas heating systems. 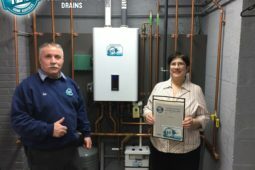 Both plans are catered specifically to whether you use a boiler or furnace to heat your home. With the Gas Heating and Cooling Service Plan, we ensure safety, comfort, and 100% satisfaction. If you have any issues, problems or concerns with your gas heating and cooling equipment, you will receive the benefits listed with our heating and cooling service plan. With the Oil Heating and Cooling Service Plan, we ensure safety, comfort, and 100% satisfaction. If you have any issues with your oil heating equipment and or cooling equipment, you will receive the benefits listed with our heating and cooling service plan. With the Cooling Service Plan, we ensure safety, comfort, and 100% satisfaction. If you have any issues with your cooling equipment, you will receive the benefits listed under our cooling protection plan. With the Ductless Service Plan, we want to ensure your safety, your comfort, and 100% of your satisfaction from our services. If you have any issues with your ductless cooling system, you will receive the benefits listed under our ductless service plan. With the Electrical Service Plan, we ensure your safety, comfort, and 100% of your satisfaction. If you have any issues with your electrical wiring, appliances or control panels, when you sign up with our plan you will receive the benefits listed with the electrical service plan.